Cast brass, eyelid shape, fitted to housing with silicone "O" ring gasket. FINISH: AB- Antique Bronze, GM- Gun Metal, or SI- Silver plated available. Natural toning process. Finishes may vary due to artistic process. Clear and heat resistant tempered flat glass. 3 watt, 210 lumens, 120º beam spread, 3000K, 20W halogen equivelent. WIRING: Fixture is prewired with a 18-2 10ft SPT-1W direct burial cord, pre-stripped for easy connection. Wire connector sold seperately. 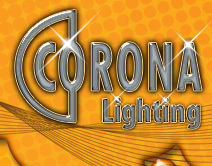 Universal connector (CX-839), silicone filled wire nut (CX-854) or quick-locking wire connector (CX-LOC) are available from Corona Lighting. 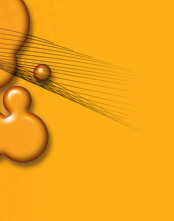 GASKET: Silicone "O" ring, seals faceplate to housing, providing weather tight protection. Recessed flush mount. Best used in concrete, brick, or other masonry surface. Install any placed where a tiny recessed fixture may fit. WARRANTY: Limited lifetime warranty on fixture housing and faceplate against manufacturer’s defects. Ten (10) year warranty on LED modules and components. 3W LED module is dimmable. Ambient Temp: -4ºF to 104ºF. Remote 12 Volt magnetic transformer is required. Not for use with Electronic transformers.